Heed the Warning Signs. Your vehicle has a way of communicating trouble that will come your way. 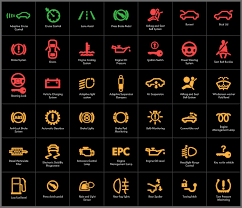 The dashboard has many many Warning Lights, such as check engine light, telling you that key vehicle systems need to be inspected as soon as possible. PAY ATTENTION, to any new or unusual vehicle sounds such as hissing, squealing, thumping or grinding as they do indicate a problem. What about smells? Such as burnt rubber, hot oil, gasoline, rotten eggs, burning carpet or sweet smell of syrup usually indicate a serious problem.